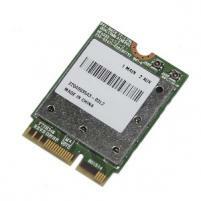 The Wireless N M.2, or Next Generation Form Factor (NGFF) Card is the best supported M.2 wireless card on the market. With the full set of sources available under a free software license the card is uniquely supported across all distributions. Actively maintained by the community there are no third parties to get in the way of bug fixes, driver/firmware improvements, or continued support. If you have a recent distribution simply install the card and boot. It'll work right "out of the box". Get the right card: The M.2 slot comes in a variety of types. One type is primarily for SSD another wireless cards. It's only going to be found in newer systems most of which are coming onto the market as of mid 2015. If your system pre-dates December of 2013 this card is not compatible with your system. The majority of people buying this card are doing so in error. The size/shape is not what matters. Please take a look at your computer's documentation and verify that your computer has an E keyed M.2 slot as shown below. If you know there is an M2 / NGFF wifi card in the system and are not sure about the key type we recommend purchasing our other M.2 wifi card. It's compatible with both key type M2 wifi slots. Notice: Many Apple, HP, Lenovo, IBM, Dell, and Toshiba branded products are defective by design. They use digital restrictions management technology and proprietary connectors to limit what hardware may be installed. This is usually a digital restriction in the BIOS that prevents the otherwise standards compliant M.2 slot from accepting anything but wifi cards sold by the PC manufacturer. If you have a problem with this please contact support to return or exchange the product within 14 days. For impacted users we recommend a USB wifi card instead. Notes: Almost all recently released distributions are compatible. The bluetooth may not work however on some versions of Trisquel and Parabola GNU/Linux-Libre. A bug was introduced with some kernel(s) that effectively disabled the driver rather than just the loading of non-free firmware for which is not needed for this particular card.